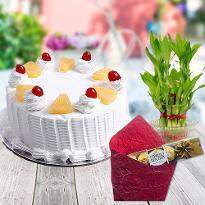 The shimmering festival called Diwali come with lots of brightness and happiness and a huge part of that brightness comes from the enticing Diwali gifts. 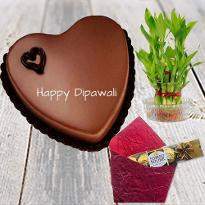 Send Diwali gifts with plants to your friends, family, relatives, colleagues and dear ones for a grand celebration. 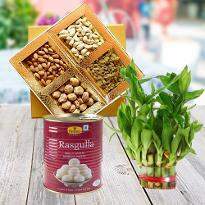 Diwali gifts with plants is the unique way to express love and adoration towards someone. Convey your Diwali wishes and blessings to dear ones by ordering Diwali gifts with plants from Winni. 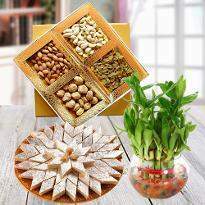 The wide range of Diwali gifts with plants available at Winni are sure to delight your loved ones. So, go ahead and buy best Diwali gifts with plants. The festival of lights is approaching and its the right time for lighting up the homes brightly. 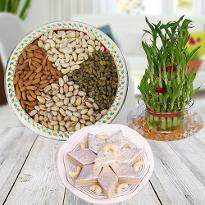 It's the high time for commemoration with friends, relatives, employees, colleagues and dear ones. It's also the time to but something special for loved ones. 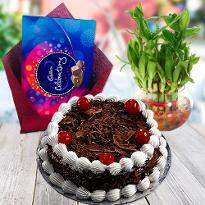 You might be thinking what to buy for dear ones on this Diwali festival? 'Plants' are the unique gift that you can gift to your dear ones on this Diwali festival together with other gifts. Plants are widely appreciated gifts because of their symbolism. Plants symbolize prosperity, care, happiness, good fortune, elegance, love and affection. Gifting plants to dear ones on Diwali means conveying good luck to them. 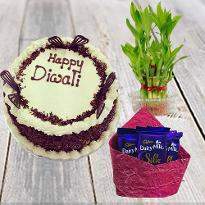 Diwali is an occasion that brings happiness and Diwali gifts are the medium that doubles the happiness. This Diwali make this happiness triple by sending plants along with Diwali gifts. There are many benefits of gifting Diwali gifts with plants such as bamboo plants restates the relationship you have with that person and construct a memory that will remain with them for lifetime. Bamboo plants also keeps the air fresh and therefore it's a best plant for Diwali gift. Moreover, plants also assist in relaxing the mind and soul. So, this Diwali festival, send Diwali plants online along with Diwali gifts and tell your loved ones that you truly care for them. 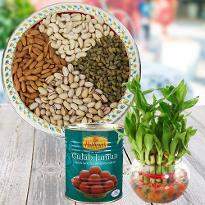 Winni has come up with the new idea of presenting online Diwali gifts with plants to special ones. So, explore our wide assortment of Diwali gifts with plants and choose the best one for your special one. We know that you want your emotions to be delivered in the same way as you feel and Winni ensures that your emotions will be delivered in the same manner as you want. 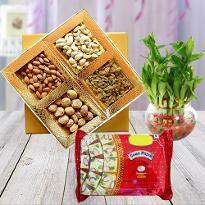 Our Diwali gifts with plants are created by keeping in mind the sentiments of everyone. So, feel free to place your order for Diwali gifts with plants from Winni. 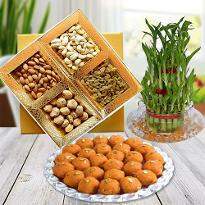 Exchanging gifts with dear ones on the occasion of Diwali is a ritual since ancient times. 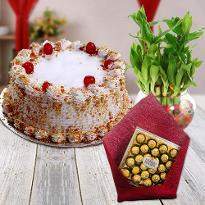 People love to exchange gifts with dear ones as Diwali gifts are the token of love and appreciation. 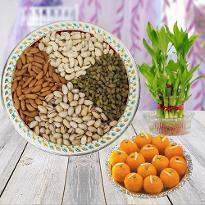 Winni has introduced Diwali plants so that you can make the Diwali celebration more interesting. Send Diwali gifts with plants to your near and dear ones and express your Diwali wishes and blessings to your loved ones. 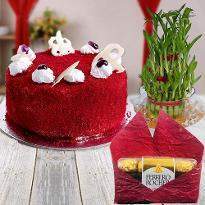 Gifts have always been the most vital part of Diwali celebration as they act as a sweetening agent in the relationships. The occasion of Diwali is one of the most widely commemorated festivals in India. However, the Diwali celebration has also scattered all over the world due to the migration of Indians. If you are miles away from your loved ones in some other country and you are desperately missing them on the occasion of Diwali then don't worry. 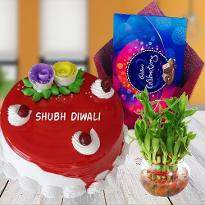 Winni is here to heighten the joy of Diwali celebration by providing you seamless delivery services. So, you can order and send Diwali gifts with plants and mark your presence on the occasion of Diwali. Your loved ones will definitely jump in joy when they will receive Diwali gifts with plants from you. With our impeccable delivery services in India, Winni tends to elude the elegance of the charming festivity that boasts of the aura of lights and enthusiastic commemorations that bless the essence with the beautiful brightness of happiness. Unlike other Indian festivals, the course of the festival of Diwali is no longer bound to a single day. Nowadays, Diwali is commemorated within consecutive days that add more happiness in the celebration by enhancing its appeal. This year, Diwali is on 7th November and with the aid of Winni, the most trustworthy online gift portal, you can explore a wide range of Diwali gifts including plants, in a convenient way, hence delighting your loved ones on special festivals. 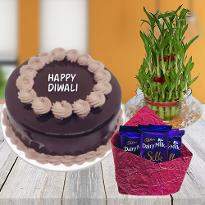 Online Diwali gifts with plants are the wonderful way to express your adoration to your dear ones. So, explore our huge collection of online Diwali gifts with plants and choose the best one for your loved ones. Winni understands the heartfelt emotions that are attached with the gifts. We know that you truly want to send your warm wishes to your loved ones on Diwali occasion that's why we have come up with a huge range of online Diwali gifts with plants along with different delivery services. So, shred off all the worries and visit Winni and choose the best online Diwali gifts with plants and make the day more cheerful and happening. 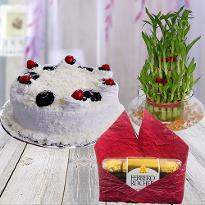 Choose our online Diwali gifts with plant delivery service and brighten the celebration of your loved ones.